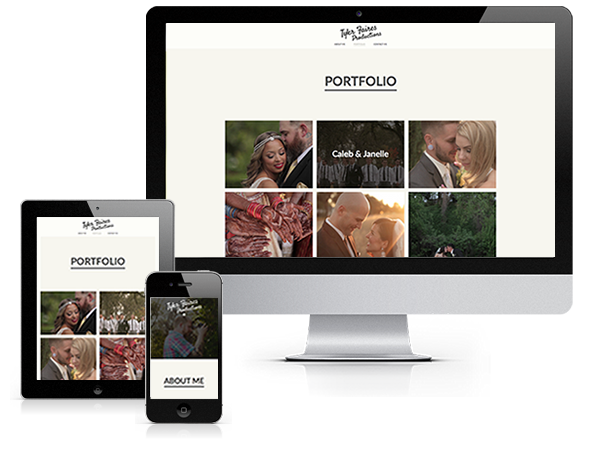 Tyler Faires is a fellow creative and came to us needing a clean and simple portfolio site for his wedding photography business, Tyler Faires Productions. We gave him a new site built in WordPress so he can edit the site whenever, wherever and as often as he wants. One the site was complete, we did a remote training with Tyler to teach him the ins-and-outs of his new content management system (CMS). I just had Ashley at Tumbleweed Creative build me a website for my video production company and I was so pleased with how well she did I hired her for a second website immediately after she finished the first one. I loved that Ashley was available to talk me through the site over the phone and really listen to the vision for my website. I am very happy with how my website turned out and I have already referred Tumbleweed Creative to many other people.